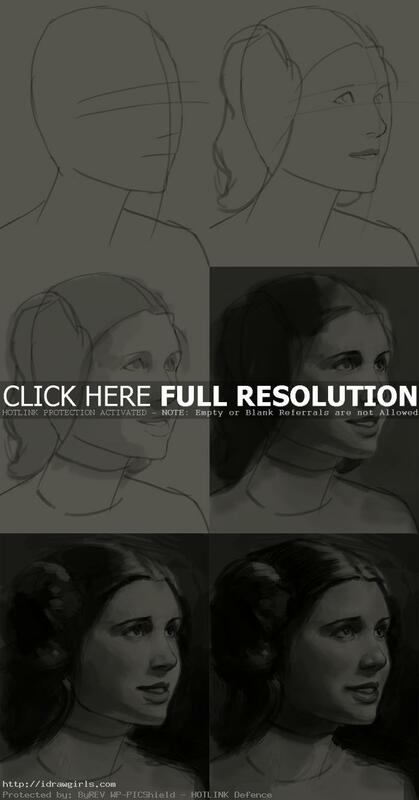 How to draw portrait princess Leia from Star Wars episode IV: A New Hope, episode V: The Empire Strikes Backtar, episode VI: Return of the Jedi. Learn to draw portrait of a female using Chiaroscuro (strong lighting high contrast) technique from step by step with instruction. In this tutorial, you will learn to draw by using full scale from black to white in value range to create high-contrast portrait drawing. Chiaroscuro technique usually suitable for a really powerful, strong, and dynamic portrait. 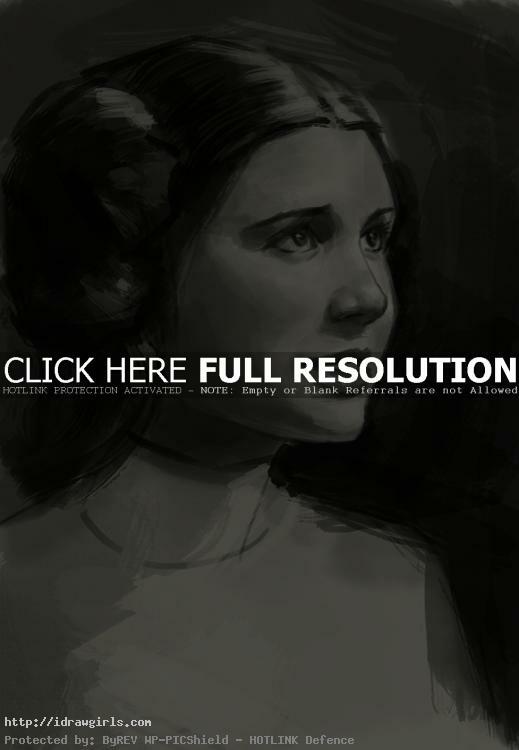 This portrait drawing is based on princess Leia or an actress Carrie Fisher in a realistic illustration style. I will show you how to start facial structure or portrait from a rough sketch to finished black and white drawing. Advantage of using high contrast in drawing is that the extreme values can be used to make your drawings more three-dimensional by accentuating the light and shadows. By using extremes in values, you can create a high-contrast drawing more realistic and easier than in basic natural lighting. For a really powerful, strong, and dynamic drawing, you can draw very dark shading right next to the light areas. Princess Leia is originally a politician, revolutionary, and Jedi Knight of the New Jedi Order. The daughter of Jedi Knight Anakin Skywalker and Senator Padmé Amidala of Naboo, Leia was the younger twin sister of Luke Skywalker, and, shortly after her birth, she became the adopted daughter of Bail Organa and Queen Breha of Alderaan, making her a Princess of Alderaan. An accomplished Senator, Organa Solo was most famous for her strong leadership during the Galactic Civil War and other subsequent galactic conflicts, making her one of the galaxy’s greatest heroes. Later she married Han Solo. Here is a portrait drawing of princess Leia. This is a wonderful tutorial, and perfect for Star Wars Day (May the 4th be with you!) Thanks for sharing.